In P-51A Mustang was designed by Raymond Rice and Edgar Schmued for the North American Aviation Company in 1940. Its first flight took place on 26th October, 1940. The Royal Air Force was impressed with its performance an placed an order for 320 aircraft. The aircraft had a maximum speed of 390 mph (628 km) and had a range of 730 miles (1,200 km). It was 32 ft 3 in (2.65 m) long with a wingspan of 37 ft (11.28 m). The aircraft was armed with 4 machine-guns and could carry 1,000 lb (454 kg) of bombs. The Royal Air Force ordered more and 820 were delivered in October 1941. The North American Aviation Company continued to work on improving the aircraft and in 1943 began producing the P-51B Mustang. This new aircraft could reach a speed of 440 mph (710 km) at 30,000 ft (9,000). A total of 15,469 Mustangs were built between 1940 and 1945. It destroyed 4,950 enemy aircraft in air combat and 4,131 on the ground. They were used extensively to protect bombers on raids over Germany. During the Second World War the Mustang flew on 213,873 missions in Europe. It was also used by the United States Air Force during the Korean War. We were happy with our reliable fighters. The Mustang had satisfied everyone with its riggedness, reliability and comforting high speed. The only disappointments were its lack of dogfighting manoeuvrability and its inability to operate effectively at high altitudes. 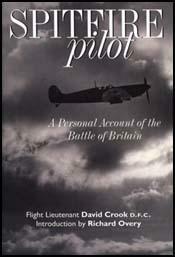 It was a big, impressive fighter, a much larger machine than the Spitfires of the day. Painted in the dark greens of RAF camouflage and published with loving care, the Mustang was a sleek, beautiful areoplane.